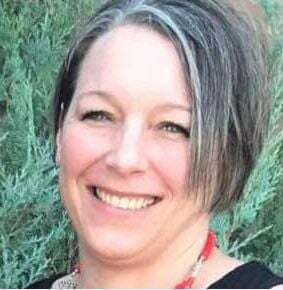 GARNER – Cathy J. McMahon, 43, of Garner, passed away unexpectedly, Thursday, February 7, 2019 at Mercy Medical Center-North Iowa in Mason City. Funeral services will be held 1:30 P.M., Wednesday, February 13, 2019 at Zion Evangelical and Reformed Church in Garner with Rev. Brian Lund officiating. Burial will be at Concord Township Cemetery in Garner. Visitation will be held from 3 to 7 P.M., Tuesday, February 12th at Zion Evangelical and Reformed Church in Garner and will resume one hour prior to services at the church. In lieu of flowers, memorials may be directed to the family and will be used to establish a college fund for her children. Cathy Jean McMahon, the daughter of Charles and Norma Jean (Jacobs) Cook, was born June 7, 1975 at the U.S. Air Force Hospital in Wiesbaden, Germany. She graduated from Worthington High School in 1993 and Minnesota West Community and Technical College in 1995. In 1996, she was married to Dave Sloan and to this union two children were born, Tori and Evan. They lived in Ames before moving to Garner. On June 20, 2009 she was married to Thomas McMahon at Duncan Hall and to this union a daughter was born, Macy. Cathy was employed at Stellar Industries in Garner and most recently at Greiman Construction in Garner. She enjoyed attending her children's activities, crafts, camping and bowling. She was a member of Zion Evangelical and Reformed Church. Cathy is survived by her husband, Tom, of Garner; three children, Tori, Evan and Macy all at home; her mother, Norma Cook of Worthington, MN; brother, Jerry Cook (Kelly Tadlock) of Brandon, SD; paternal grandfather, Joe Cook of Billings, MT; her parents-in-law, Jim and Laurel McMahon of Garner; sister-in-law, Natalie (Joel) Swartout of Garner; and many aunts, uncles, nieces, nephews and cousins.